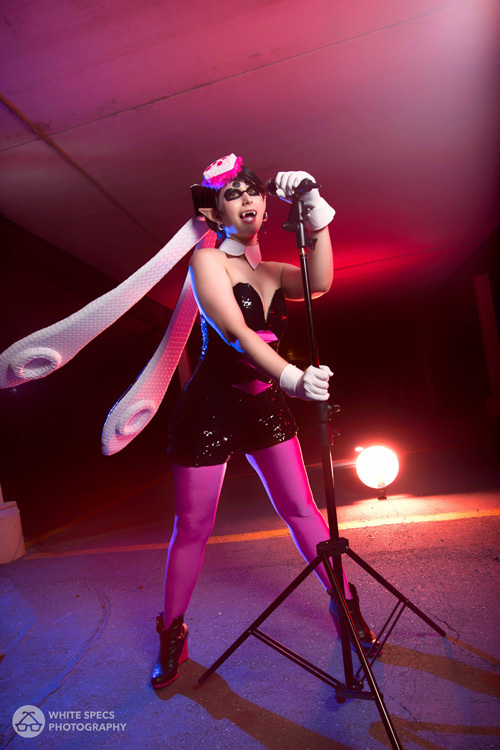 "Hey squiddos~ I'm iluvcookiess Cosplay, I love to sew and of course cosplay, I also dance!! So of course I had to show off myself as the super cute and bubbly squid idol, Callie!! I made the cosplay myself and do my own makeup, it was really fun to wear, but also... giant tentacles can be a real pain! I did this shoot with White Specs Photography, it was amazing working with him and I hope I get the chance to again some day! Well that's all for now ~Stay fresh! !~"